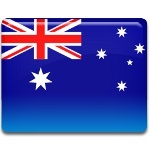 Australian Citizenship Day is observed annually on September 17. It was introduced by the Australian Government in 2001. This day is an opportunity for all Australians to celebrate their citizenship and reflect on its importance. The celebration of Australian Citizenship Day was originally proposed by the Australian Citizenship Council in 2000. The following year, the government established it officially. The date of September 17 was chosen because on that day in 1973, the Nationality and Citizenship Act was renamed the Australian Citizenship Act. The event is coordinated by the Department of Immigration and Border Protection, a department of the government responsible for citizenship, immigration and border control. On September 17, all Australian citizens, whether by birth or by choice, are encouraged to celebrate the role they play in shaping the nation and to take pride in their country's democratic values. On this day, special citizenship ceremonies and affirmation ceremonies are held to celebrate the occasion. Many schools, community groups and organizations hold special events and activities. These events helps increase awareness of the meaning and importance of Australian citizenship.